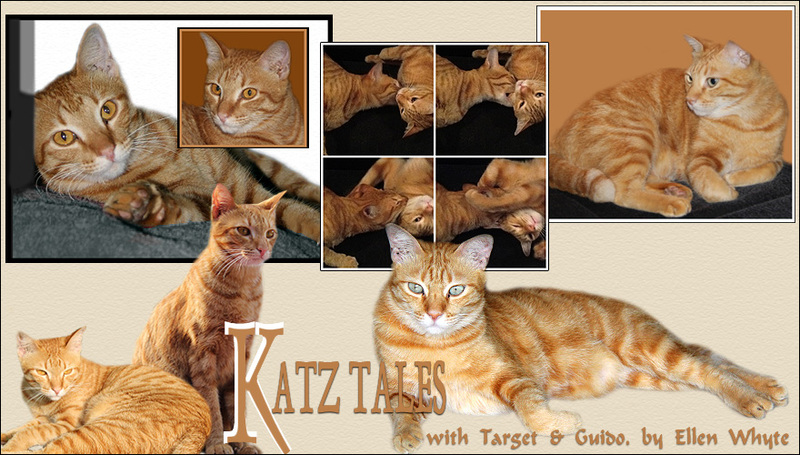 Katz And Other Tales: COT Tagged! I love making plans to get into things I shouldn't! You go Target! Oh...this tag :P I do not usually do tag on all my blogs. Since you would like to know more about Janice, I will try to do a post about her soon. Keep you inform about that. Well, regarding your link roll down in COT, you should check with Gattina as she is in charge of COT. so sweet that they get along! He loves chocolate ?? Never heard about that, lol ! For Rosie it is her first spring too and she also will discover lots of new things. For the moment unfortunately it's still cold and rainy. Having someone to play with and cuddle with is a lot of fun! Target, we are glad you don't get much chocolate, since it is poisonous to us kitties! Target gets chocolate brownie??? I thought cats are not allowed to have chocolates! The Spice Cats have never tasted chocolates. ::Gasp:: Pushed away from the biscuit bowl? This can be very traumatic! When I say crumb of cake I mean literally a crumb. The human people shared a slice of chocolate brownie and put the plate in the sink to be washed. Target then climbed into the sink and licked the plate! We caught him at it. The next day when the human people shared the second piece of brownie, Target was bouncing about shouting Me Too! MEOW! We fobbed him off with a bit of the walnut and then had to wash up the plate straight away because Target was lurking by the sink. Funny thing that. He doesn't even try to get at a roast chicken or anything else we put on the countertop. I'll try him with some of that cat chocolate that has no cocoa in it. AU thinks it's gross but it may just be target's type of thing! I've never heard of a kitty that would eat brownies...too funny. Target, you are SO right! Chocolate is super yummy, especially when it is topped with whipped cream! Oh, how I love it! It makes me upset that mommy won't let me have it more often. It's always interesting to hear new things about others. Oh my sister Frieda is tagged, great! Ok, we will tell you next time 3 new things.Thank you! Your 3 new things are truly interesting ! chocolate brownies sounds good. We have rarely chocolate brownies in Germany but we have sometimes chocolate cake. Wow Target is really BIG now! How did that happen? Also, what are the kitties looking at? Is it treats? Does it taste good? All three of my cats like chocolate; not surprising with a chocoholic mummy... ;-) Pity it's bad for them! Sorry about the delay as I had problems with my ISP and burnt off modem :P It's all stated in my bad luck post.. haha. Chocolate? 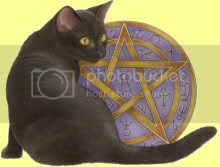 Our kittys don't like to eat human food but I wonder what they would think about chocolate. Fascinating to see two wonderful cats like yours. Great subject. 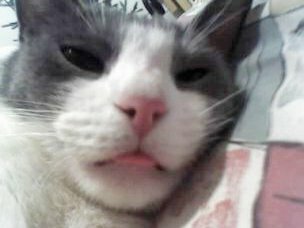 Hi Ellyn,Tink,Sharlene n the Gang,Hello Trget and Au.Hope you boys are doing really fine.Good that Target has had his snip.Even Bubble was spayed.Got a new sis(more of Older) for Bubble,though they have not really met face to face.Any tips for me?I don't want them to start off with clawing at each other.